What is Side Plank Pose? Side plank pose, or vasishtasana in Sanskrit, is both a balancing and strengthening posture. 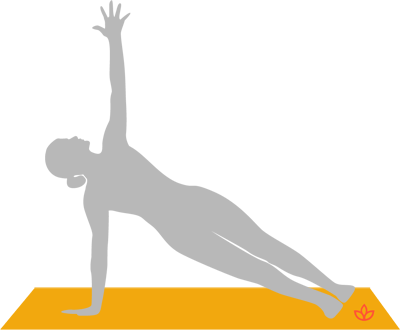 From plank pose, the yogi shifts their weight to one hand and reaches the other toward the sky. The pose is dedicated to the sage, Vasishta, who represents dignity and power. Exhale and shift the bodyweight to the right hand and edge of the right foot, stacking the left foot on top of the right. Inhale and reach the left hand to the sky. Keep the hips in line with the knees and shoulders.